Beef Biosprint is the best selling beef mineral produced by Scotmin. Specifically formulated to balance farm feed and supply Biosprint for efficient beef production. 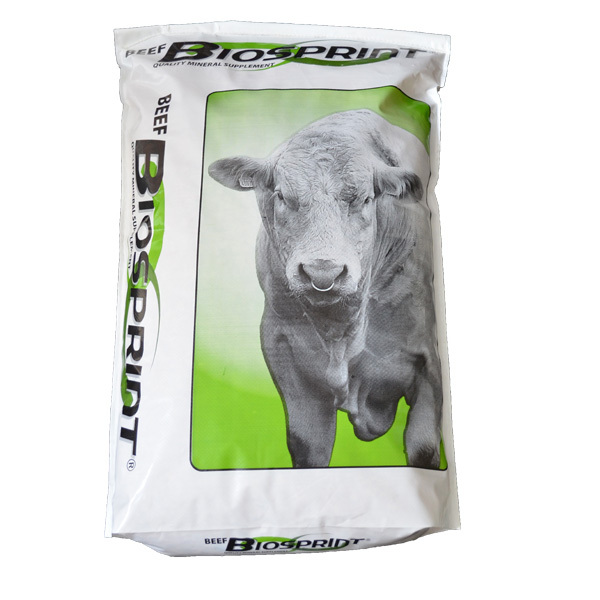 Beef Biosprint can be fed free access, mixed with cereals or incorporated into a TMR. Proven to increase liveweight gain and reduce digestive upsets in both intensive and semi-intensive rations. Feed rate: Incorporate at one bag per tonne of cereals, typical intakes 100g – 200g head/day.